Hamdi Ulukaya, the 43-year old founder and chief executive of Greek yogurt maker Chobani, has helped pull off a remarkable turnaround over the last 19 months. During that time, the Turkish businessman has turned an operating loss into a profit and, even against stepped-up competition, increased Chobani’s market share, The Post has learned. 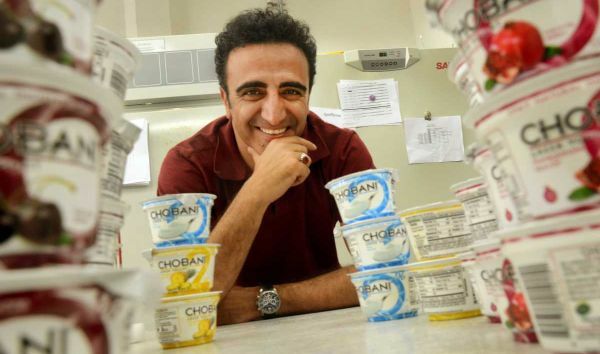 Much of the success has been attributed to the introduction of Chobani Flip, a single-serving package that separates the yogurt from dry toppings, and to Ulukaya’s stepped-up focus as CEO. But Ulukaya is having much less success selling a minority stake in his closely held company. For the past three months, Ulukaya has been trying to sell a minority stake in Chobani to a strategic investor, like a soft drink maker with ties to retail stores, allowing further expansion, sources said. The money raised by such a sale — at a $3 billion-plus valuation — would also allow Ulukaya to pay off TPG Capital, the private equity firm that rode to Chobani’s rescue in 2014 with a $750 million loan. Ulukaya and TPG haven’t exactly gotten along and the CEO is looking to lessen the firm’s power over Chobani. “Hamdi wants rid of TPG,” a source on the buy-side said. One example of the testiness between the two is the move by Ulukaya earlier this year to get rid of TPG’s recommended outside consultants. The CEO considered them a waste of time and money, sources familiar with the company and process said. The ouster, and Ulukaya’s decision to remain CEO after agreeing to search for a replacement, came as a surprise to TPG, sources said. Despite the turnaround, the sales process hasn’t gone so well, several sources said. For starters, Coke has passed on the deal and PepsiCo is said to be close to turning down the offer, sources said. “I suspect Hamdi will be in the same position he is in today three months from now,” a source close to the sales process said. One reason for the slow sales process, according to people close to the matter, is Ulukaya himself. “I think people are scared to partner with him” if there is no path to majority control, one source said, adding Ulukaya’s strong personality turns people off. Other food companies this week are visiting Chobani’s $450 million Idaho plant, sources familiar with the company and process said. Hamdi owns most of Chobani, which expects to soon generate $1.5 billion in annual sales, sources said. Chobani is generating roughly $150 million in earnings before interest, taxes, depreciation and amortization, or ebitda. That is a $200 million swing from 2014, when it was in the red, a source familiar with the company said. US yogurt-market share is up to nearly 20 percent from 17 percent a year ago, sources said. TPG Capital has two of six Chobani board seats, Hamdi has two and there are two independent board members. Ulukaya, if he can pay back TPG, can likely reduce its board presence from two seats to one. TPG has warrants in Chobani equal to up to a 20 percent stake, so TPG would still maintain some influence under any conditions, sources said.